Marta is one of the players who wants the tournament played on grass. 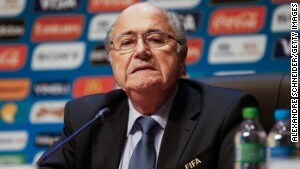 (CNN) -- FIFA has been getting a kicking off the pitch in recent weeks -- now it's trying to resolve a turf war. World football's governing body is set to hold talks with team representatives over plans to hold the 2015 World Cup on artificial turf. Earlier this year a number of players -- including Brazilian star Marta, world player of the year Nadine Angerer and Team USA's all-time leading scorer Abby Wambach launched a court case against the Canadian Soccer Association (CSA) and FIFA with the Ontario Human Rights tribunal over the decision not to hold the tournament on grass pitches. The group claims that the CSA and FIFA are guilty of sexual discrimination -- a charge both organizations have flatly rejected. Players are also concerned artificial turf leads to a higher risk of injury and greater wear and tear on their bodies. Now Jerome Valcke, the secretary general of FIFA, is set to speak with players and coaches at the World Cup draw on December 6 in Ottawa about the matter. 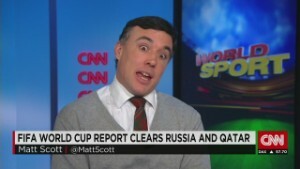 A FIFA spokesman told CNN: "What we can confirm is that the FIFA General Secretary will meet with all the team representatives present during his stay on the occasion of the Official Draw in Ottawa." U.S. lawyer Hampton Dellinger, who is representing the players, wrote to the general secretary last week outlining the position of his clients. "The players and their representatives are prepared to discuss their proposal for funding and installing the highest quality temporary grass fields, much like the ones used in prior World Cups," said Dellinger in a letter sent to Valcke last week. "We can also talk about the use of goal-line technology. Since men's World Cups now feature goal-line technology -- which FIFA describes as "crucial...in supporting the match officials" -- so too should the women's tournament. "Regardless of whether FIFA's prior unwillingness to speak with the players resulted from its financial ties to the artificial turf industry or some other factor, we appreciate you now offering 'open channels of communication' and 'open dialogue' with the players. "We hope you will keep your word by speaking with the players on or about December 6 so that together we can resolve the dispute and have a World Cup worthy of the amazing athletes who are the key to its success." 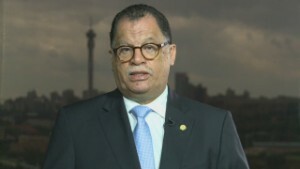 Dellinger told CNN on Monday that he was "pleased" Valcke would "keep his word and begin an 'open dialogue with the players regarding competition conditions at the Women's World Cup. "As he should know, a number of the leading women's players will be in Brazil on December 6th preparing for a tournament," Dellinger added. "Others are participating for club teams around the world. The players will provide times when they are available to speak with Mr. Valcke by phone around the date of the official draw. We are hopeful that the Canadian Soccer Association and broadcasters such as Fox Sports will join the discussion." Independent consultant Professor Eric Harrison, who traveled to Canada earlier this year to inspect the stadiums and training pitches for the World Cup, believes the harsh weather conditions in northern latitudes make "preparing natural turf particularly challenging." "The majority of stadiums in Canada have accepted that only football turf is a credible surface to meet the demands of the weather and usage," Harrison told FIFA's website. Harrison also argues trying to lay natural turf on top of artificial pitches could prove difficult -- and potentially dangerous for the players. "For the natural turf to be successful, the roots have to penetrate to form a stable surface," added Harrison. "Where this has been attempted, the roots have not penetrated and the natural turf surface begins to slide on top of the artificial turf surface." Mia Hamm, who scored 158 goals for Team USA and won the 1999 World Cup, told CNN that she believes the tournament should be played on grass. "I've played on both and I prefer grass," she said. "I don't think by any means this is the Canadian Federation looking to discriminate in any way. "I understand why a lot of their fields are artificial surfaces based on the amount of play and the weather. "These are the best players in the world playing in their biggest tournament, I just think it should be played on grass. I'm just hoping FIFA does the right thing. "From a player that's played on both, I prefer playing on grass. There are certain aspects of the game that are just truer on grass." Dellinger has invited television broadcast partners as well as sponsors to the talks, while the players have also agreed to using a mediator to "facilitate discussion." In an interview with his organization's own website in October, Valcke stressed that FIFA remains "committed" to producing the best possible tournament. He said that the CSA proposed that the tournament be played on artificial turf and insists it is of the highest quality. Valcke said: "As has already been explained, this is not a question of money, or of differences between men's and women's events, but it is a matter of the natural conditions in Canada. "We want to guarantee consistent top-level playing conditions for all 24 teams during the event, both in the official stadiums and at the training sites. This has been the sole reason behind the decision to play on artificial turf from day one." The tournament, which will be held in Canada, involves 24 nations and takes place from June 6 to July 5.